Mechanix Wear gloves are the best designed and most trusted brand of protective hand wear by the worlds top racing teams. The experience and exposure gained in the racing world has lead Mechanix Wear to branch out its R&D and develop some of the best hard use tactical gloves in the world. This is the Mechanix Wear Impact Pro Glove. It is a high endurance glove that is designed to protect your hands against the extreme stress and exhaustion that can result from intense combat and game play. They've done this by fusing dual layer palm panels with extra padding along the middle of the palm to prevent blistering, and adding a flexible molded rubber ribbing to the top of the hand and knuckles to create a flexible exoskeleton that supports and protects. 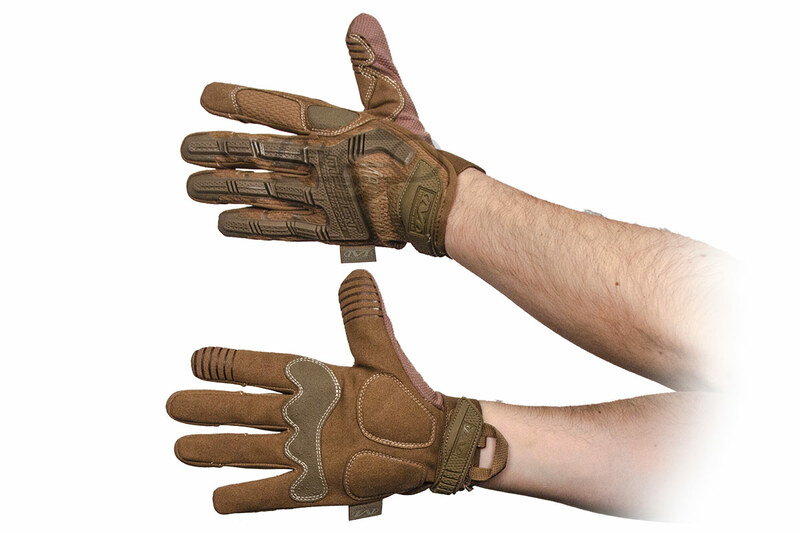 Mechanix Wear is dedicated to their craft and their hard work is evident in the excellent products they produce. The Mechanix M-Pact glove provides military soldiers, operators and law enforcement professionals with full-coverage hand protection. A dense thermoplastic rubber knuckle guard covers the entirety of the last three fingers and knuckles. The index knuckle is protected by EVA padding to retain maximum dexterity, and a thermoplastic rubber closure creates a secure fit to the wrist. The M-Pact features internal fingertip reinforcement for abrasion resistance and added grip where it is needed most. The two-piece palm construction reinforces high-wear areas and reduces bunching to preserve dexterity when handling firearms.